Angus’ Blog » Blog Archive » Googling IBM i – or Binging? Angus: Googling IBM i – or Binging? There have been a lot of people who have complained that you cannot google “i”. And, while this is just a complaint, it has merit. 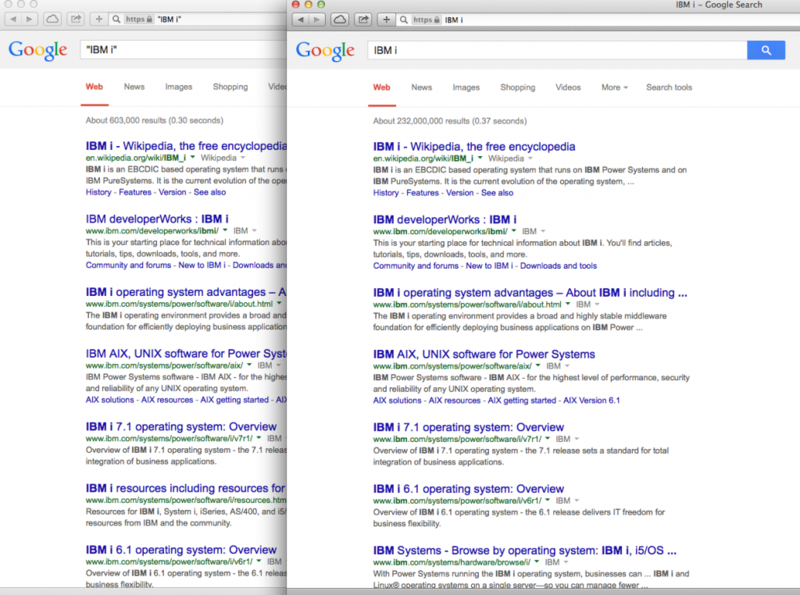 No matter that the platform brand was given to us as “IBM i” when it was announced – so many years ago now, people are still ignorant of the branding requirements of any web search engine. It is becoming clear that the average IBM i programmer really does not give much of a crap after they have finally worked out it is no longer an iSeries or an AS/400. Take our favorite midrange mailing list. This week, we have had these two headlines posted to the group. How are we supposed to google “i”? Well, we should not have to, unless the ignorant continue to post web conversations without using “IBM i” in their subject or content. 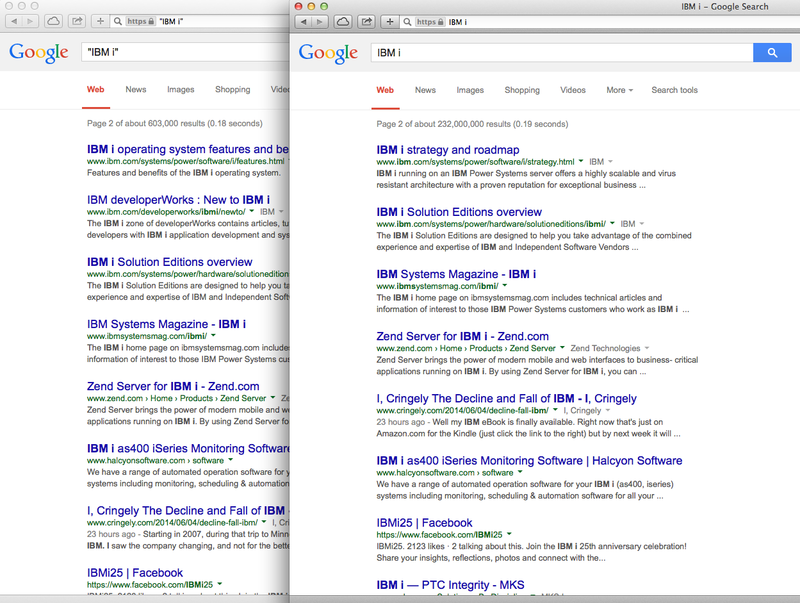 The second part of this equation is what you should use to search for IBM i content? 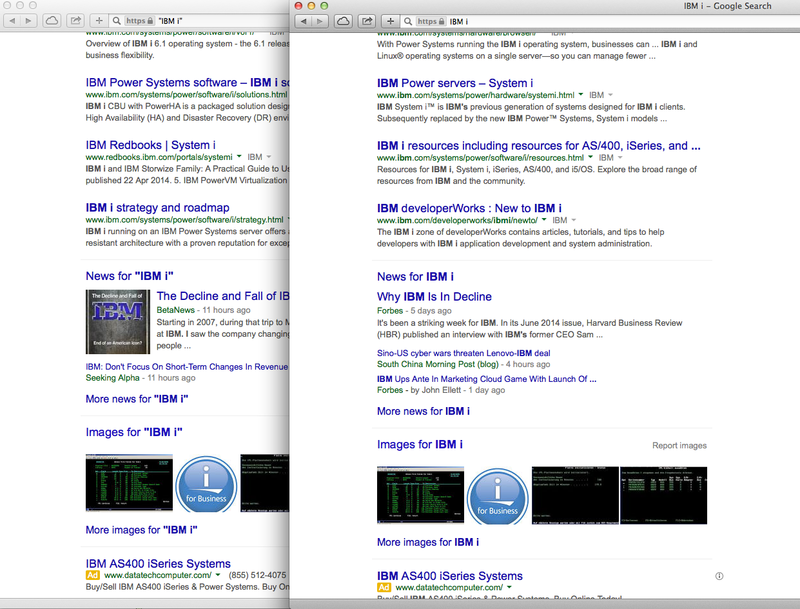 There are two schools of thought, one says use quotes around “IBM i”, the other says there is no need for the quotes. So, I tested. Here are the first pages of the results. 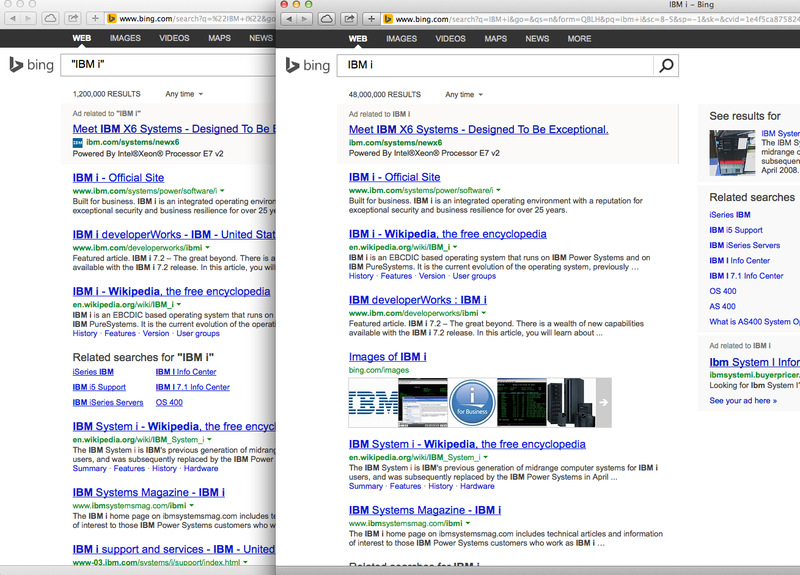 As you can see, quite similar. I encourage you to test for yourself.